Well that’s not going to happen this year at Oakmont. This will be the 9th time the national open will be held at the Pennsylvania country club, more than any other course. Highlights from Opens are a plenty here at Oakmont, from Johnny Miller’s final round 63 back in 1973, all the way to one of my favorite moments in US Open history, watching Angel Cabrera rip a 330ish yard drive on the 18th hole when he needs a par to win, and then start smoking a cig while walking to his ball. Someone call the people who run Smokin’ Jay to draw in a cig for Cabrera here! The course is always highly rated (there’s a reason they keep coming back), so don’t expect to see many comments about unfairness here. 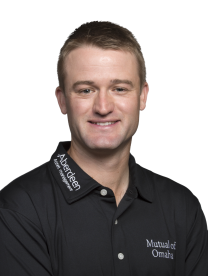 Sorry all you Scots out there, Russell Knox is good and getting better, but not there yet. Jason Day might have to since he’s the defending champ, but this year, because of the the whole Olympic thing, the poor Canadian championship is sandwiched between the British Open and The PGA Championship. Which means, I’m not so boldly predicting, that few of the top players will make the trek north of the boarder. You heard me correctly, the PGA Championship will take place at Baltusrol July 28-31. And even though I’m reminding you of this now, I’m sure you’ll forget and be confused anyway. Talk about taking a stance. They’re going to get a pretty good field to travel down to Rio August 11-14 with the whole novelty factor and the whole playing for your country factor. But I can imagine that a bunch of players have the opinion expressed by Adam Scott where he says “I’m planning my schedule around playing majors the best I can. If I can fit going to the Olympics into that, it might be a bit of fun, then lucky me if I qualify”. Others probably aren’t willing to be that open about it. Cool view of the untested course. 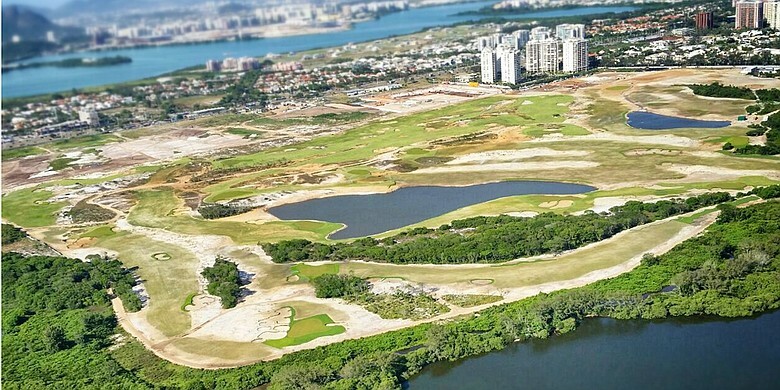 Don’t let the Golf Channel cloud your judgement about how awesome and amazing the Olympic golf will be. They’re owned by NBC who televises the Olympics and have every financial incentive to promote the tournament. And having it being played on a brand new course is pretty cool too. But for me and most of the guys out there, golf is still about the majors, and the Olympics could just be an unwanted distraction. Who knows in 20 or 30 years when the children who grew up watching golf in the Olympics get to playing age, they may think it the highest honor to win. But not right now. Every year someone seems to leave the faucet turn on that spits out good young players, while the older, established players circle the drain that is the Champions Tour. With more than a few young, first time winners already in the fall season (Kaufman, Girllo, Knox), this year shouldn’t be any different. Then again, maybe Davis Love III and his win at Sea Island will inspire the over 50 crowd to play and play well this year. I’ll go with the young guys overall though. Speaking of Champions Tour, it’s gotta be a blast for the 50 year olds to graduate. You go from playing 7400 yard long courses against dudes younger than your kids, to playing courses a crap ton shorter and with much easier setups. Plus, you get to hang out with your friends from 20 years ago that you might not have seen in awhile! Good times. And now that I’m on the topic of Champions Tour, I wonder what the groupies are like? You hear the rumors about groupies on the PGA Tour, and how players carry multiple cell phones for that purpose. Combine with research about things that go on in nursing homes (along the lines of that song above), and maybe the groupie problem is “worse” on the old people tour. So many good players out there, so many storylines to watch for, so many hours of coverage to show on tv, as a golf fan, you can’t help but get excited for the new year! I think Rickie Fowler is dressing like a clown. My questions are – 1. Do you think he is dressed like a clown, and if not how would you describe his dress?, 2. Do you think his dress will cause him to begin to play like a clown? TOUR Championship by Coca-Cola — Why are all the letters in “tour” capitalized? 2016 Sony Open in Hawaii — Did you hear the tournament is in Hawaii?